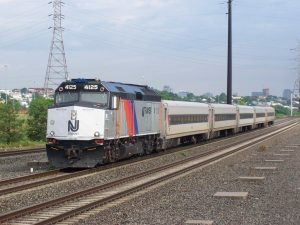 The engineer of the commuter train that crashed into a New Jersey rail station, killing a woman, suffered from a form of sleep apnea, according to a report by the National Transportation Safety Board. Thomas Gallagher, 48, said he has no memory of the crash at the Hoboken station on Sept. 29 as the train was traveling twice the 10 mph speed limit, The New York Daily News reports. Gallagher wasn’t diagnosed with sleep apnea until later the crash. The crashed injured 108 on the train and platform. “My client was diagnosed with severe sleep apnea just recently, during an examination by an expert that I arranged after the accident,” Gallagher’s attorney, Jack Arseneault, told WCBS-TV in a statement. “Those results were forwarded to the NTSB on Oct. 31. Posted: 11/17/16 at 9:58 AM under News Story.